Turner Engineering supplies cylinder heads for Land Rover Series 2A, Series 111, Defender, Discovery and Range Rover. Land Rover engines including 300TDI, 200TDI, V8, 2.5 turbo Diesel, 2.5 Petrol etc, Petrol and Diesel. 1958 to date. inc-parts sales. 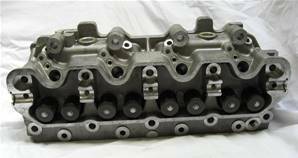 Most cylinder heads are available to purchase outright sale for export. All Petrol Cylinder Heads are re-manufactured to run on Lead Free Petrol and will also run on LPG. Brand new Ford Puma and Duratorq cylinder heads available assembled with valves and springs. Any parts you may need to refit your new cylinder head can be found on our 2.2 Puma TDCI or 2.4 Duratorq TDCI pages. AMC heads complete with valves and springs assembled. 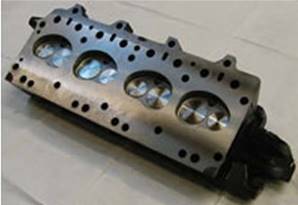 Turner Engineering recommend AMC TD5 cylinder as the casting is significantly improved from the original Land Rover TD5 cylinder head. The injector socket wall thickness is twice that of the original Land Rover supplied cylinder heads. 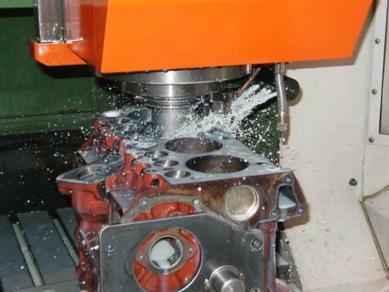 These cylinder heads have proved to be 100% reliable over many years as the inherent defects have been overcome. No more cracked injector sockets allowing diesel into the engine oil. Early type heads have internal fuel galleries whereas the later type includes an external bypass of one of the galleries. For any addtional parts you may need to refit your TD5 cylinder head, please feel free to browse our TD5 Parts page. 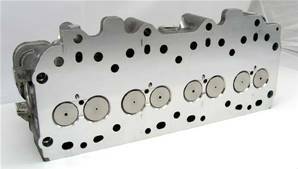 New complete cylinder heads assembled with valves and springs, available for Range Rover and Discovery Rover V8 engines. Secondary Air Injection (SAI) are typically found on American market 4.6 V8 engines or late Discovery 4.0 European market engines. If you in any doubt about which product you require please Contact Us. 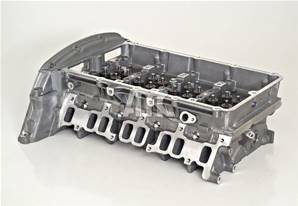 For any additional parts you may require to refit your new Rover V8 cylinder heads, please feel free to browse our 4.0 & 4.6 V8 or 3.5, 3.9 & 4.2 V8 engine parts pages. 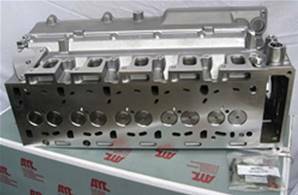 Turner Engineering sell a range of new AMC cylinder heads for 2.5 and 2.8 litre 300 Tdi engines, including standard spec and gasflowed high performance options. 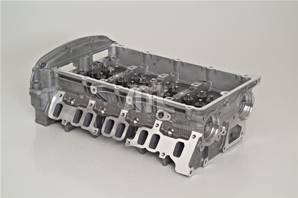 Please be aware that new 200 Tdi cylinder heads are currently unavailable from Land Rover or alternative suppliers so we are only able to remanufacture customer's own unit. Please feel free to Contact Us for more information. For any additional parts you may require to refit your new 200 TDI or 300 TDI cylinder head, please feel free to browse our 200 TDI or 300 TDI engine parts pages. 2.5 Petrol cylinder heads have metric threads and come assembled with new valves and springs. Standard lead free and lead free gasflowed cylinder head options are available. These heads will also fit later series III 5 MB engines (from engine No.s 36123672B & 36407286B) and 90/110 2.25 5MB Petrol engines. 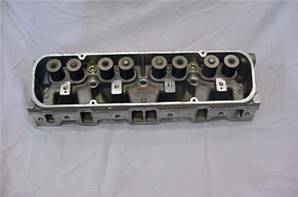 If you are unclear on what cylinder head is appropriate for your vehicle please feel free to Contact Us and we will help you select the correct cylinder head. 2.5 Diesel NA and Turbo Diesel cylinder heads come assembled complete with new turbo diesel valves, springs & precombustion chambers, ready to fit to your vehicle. This avoids the inconvenience of having to determine correct valve depth and precombustion chamber specification/height. For any addtional parts you may need to refit your 2.5 Petrol or Diesel cylinder head, please feel free to browse our 90/110 2.5 Petrol or our 90/110 2.5 Diesel pages. 2.25 Petrol cylinder heads are fully remanufactured complete with new valves & springs assembled and are of an imperial thread format. Options available include standard lead free or lead free gasflowed performance. Performance versions include gasflowing of both inlet & exhaust ports. 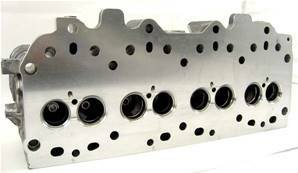 Gasflowed cylinder heads are intended to improve efficiency and fuel economy. In practice this manifests itself as improved response to the throttle and the ability to pull higher gears at lower rpm. For any additional parts you may require to refit your new 2.25 Petrol or Diesel cylinder head, please feel free to browse our SIIa/SIII 2.25 Petrol or SIIa/SIII 2.25 Diesel engine parts pages. All cylinder head options usually in stock. DELIVERY - UK overnight delivery. Air, sea and overland world wide. As a result of improved courier services we offer an exchange service to Europe. All sales subject to English Law.